ALS is an idiopathic disorder of both upper motor neuron and lower motor neurons. This is also known as Lou Gehrig`s disease. The UML manifestations are weakness, spasticity, hyperreflexia, and Babinski sign (+). The LMN manifestations are weakness, muscle wasting, atrophy, hyporeflexia and fasciculations. The combination of UML and LMN weakness is the unique presentation of ALS, preserving bowel, bladder sensory, COGNITIVE (patient retains the capacity to make the medical decisions- ethical question) and sexual function. Asymmetric limb weakness is the most common presentation of ALS (78 %). Bulbar onset, usually manifested as dysarthria, or dysphagia is the next common disorder. Since there is often respiratory muscle involvement, recurrent aspiration pneumonia is the most common cause of the death. Increase glutamate can cause the cell destruction. Familial ALS shows deficiency in Zinc Superoxide dismutase (Enzyme converts the free radicals). CT, CSF analysis – Usually normal. The accurate confirmatory test – Electromyogram. CPK levels are sometimes mildly elevated. Treatment: Riluzole is the FDA approved treatment option that may slowdown the progress of the disease, by inhibiting the Glutamate release. Symptomatic spasticity can be treated with baclofen or tizanidine. 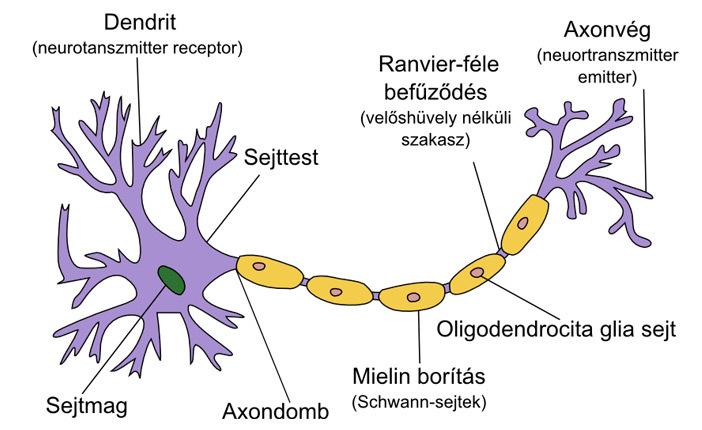 GBS is defined as an Acute Idiopathic Polyneuropathy or acute inflammatory demyelinating polyneuropathy (AIDP), disorder affecting the peripheral nervous system, present with ascending paralysis. The disease is usually triggered by an acute infection, one to three weeks preceding the onset of the symptoms. There is evidence of Campylobacter jejuni as an antecedent infection in approximately 26% of disease cases, requiring special care in the preparation and handling of food. Other infection associated with GBS include, human herpes virus, cytomegalovirus, and Epstein-Barr virus. Congenital and neonatal Gillian–Barré syndrome has also been reported. Clinical Presentation: Patients with GBS typically presents with rapidly developing weakness that typically begins in the lower extremities and moves upward. Ascending neuropathy begins in the legs and spreading, sensory symptoms are less prominent than motor symptoms. The legs are more affected than the arms and face. On physical examination, patients presents with hyporeflexia or areflexia in the effected group of muscles. Diagnosis: GBS typical clinical presentation, weakness pattern, absence of reflexes, fever and constitutional symptoms helps in diagnosing the syndrome. The accurate test of diagnosis – EMG (used to detect the evidence of demyelination of the peripheral nerves). CSF Analysis is less than Protein ratio increases (Albumin). CSF Analysis is less than Cell count normal (because it is not an infection process). Treatment: Monitoring the vital capacity and initiating the early respiratory support is a vital step in the management of GBS, which is often prevents death from respiratory failure. Medical treatment should be started as soon as possible because the available therapy becomes ineffective after 10 to 14 days of the onset of the symptoms. IVIG and Plasmaparesis are available treatment and both are equally effective. No added benefit with combination therapy. IVIG is preferred over Plamapheresis, because it put less strain or no strain on the cardiovascular system compared to Plasmaparesis. Steroid DO NOT have role in the treatment of GBS, they are not effective.